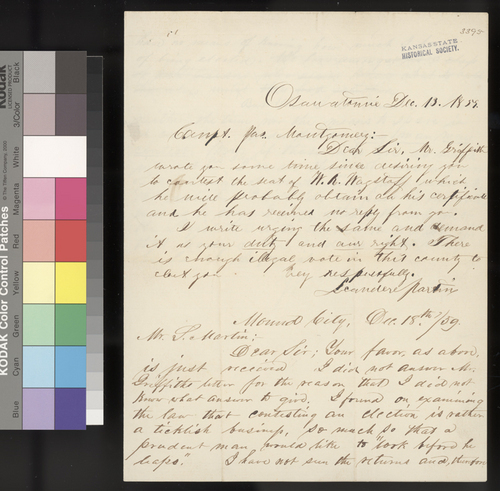 Leander Martin, writing from Osawatomie, Kansas Territory, encourages Captain James Montgomery to contest the results of the November 8, 1859, election for representatives to the territorial legislature. Montgomery had been defeated by William R. Wagstaff in a race for a seat in the territorial House of Representatives. Montgomery's response to Martin is written at the bottom of the letter.